A diode bridge rectifier is a device for converting AC, or alternating current electricity into DC, or direct current. AC electricity goes from positive to negative constantly, whereas DC always flows in the same direction. AC electricity is more efficient to transmit and easier to convert into different voltages, so power is transmitted from the station to your house as AC. However, most appliances need DC current to run. A diode bridge rectifier is the most common type of power supply used to provide this current. First, a transformer is used to create the desired voltage. When two coils are placed next to each other and a moving electric current is run through one coil, it induces a moving electric current in the other one. When the second coil has fewer turns of wire than the first coil, it will have a lower voltage current. 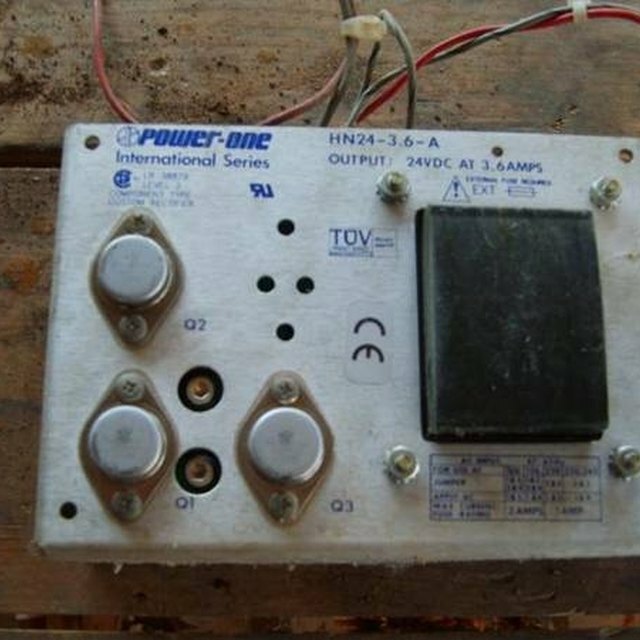 This is called a step down transformer. Electricity comes into the house at 120 volts, but most devices need about ten percent of that voltage. The step down transformer adjusts the voltage to the appropriate level. 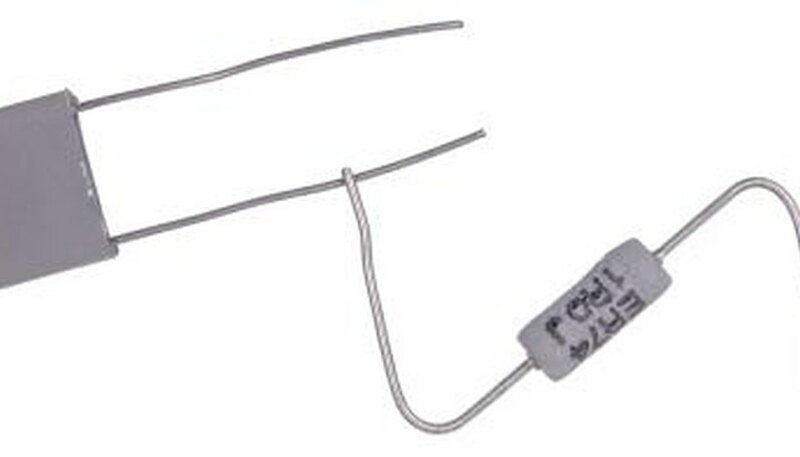 The diode bridge is the heart of the diode bridge rectifier. Diodes work like electric one-way valves, only letting a positive or negative charge through, depending on the direction in which they are wired. The wire coming from the transformer has two ends. Because the current is AC, when one end of the wire is negative, the other is positive. Each end of the wire is attached to two diodes which shunt the electricity into positive and negative DC wires. So if end A has a negative charge and end B has a positive charge, the diode between end A and the negative DC wire opens while the diode between end B and the positive wire opens. When the electricity switches direction, the diode between end A and the positive wire opens and the diode between end B and the negative wire opens. The DC current from the bridge flows in one direction, but it does not do it slowly. Because the AC electricity was constantly pulsing from negative to positive, the DC current comes out a little "bumpy" and uneven. To smooth out the signal, most diode bridges use a device called a capacitor which stores a charge like a tiny battery. When the power pulses up, the capacitor absorbs some of it, reducing the surge. When the power drops back down on it, the capacitor releases some of its charge, raising the power. By flattening the peaks and raising the valleys in the current, the capacitor creates a more even and consistent power supply. David, Isaiah. "How Does a Bridge Rectifier Work?" Sciencing, https://sciencing.com/bridge-rectifier-work-4987743.html. 24 April 2017.